We are very lucky to have so many great beaches here in Dorset. I haven’t visited nearly half of them, but we are making more of an effort, especially if it means we can take Lola with us for the day. A beach doesn’t have to be a place you visit in the Summer time, you can have just as much fun at the beach all year round. You may just have to adapt your outfits. 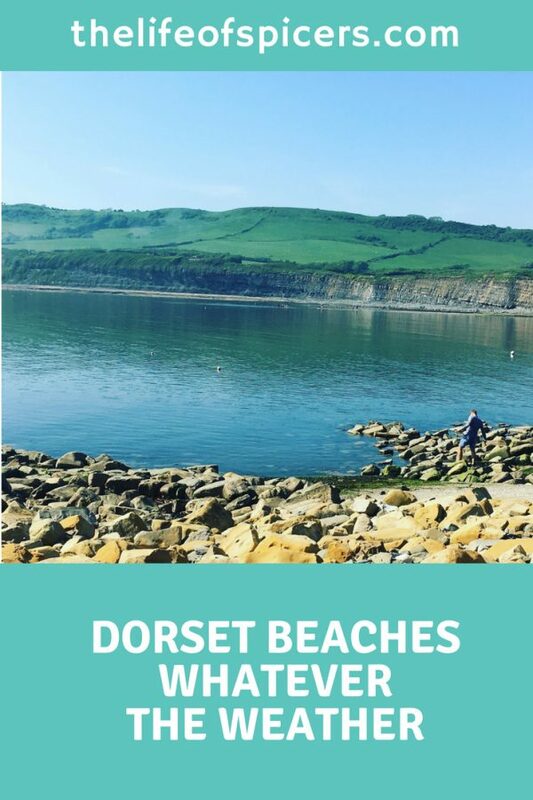 I was trying to narrow down my favourites to share with you, however I couldn’t decide so here are 5 Dorset beaches to visit. We don’t often visit Bournemouth Beach unless there is an event happening such as the Air Festival or the Wheels Festival. However there are times when we are in the area and we enjoy visiting Bournemouth Beach by the pier. It can often get crowded on Bournemouth Beach, especially in good weather, but with good bus links and plenty of parking in the area it’s not difficult to see why. A popular hot spot for tourists and locals alike. 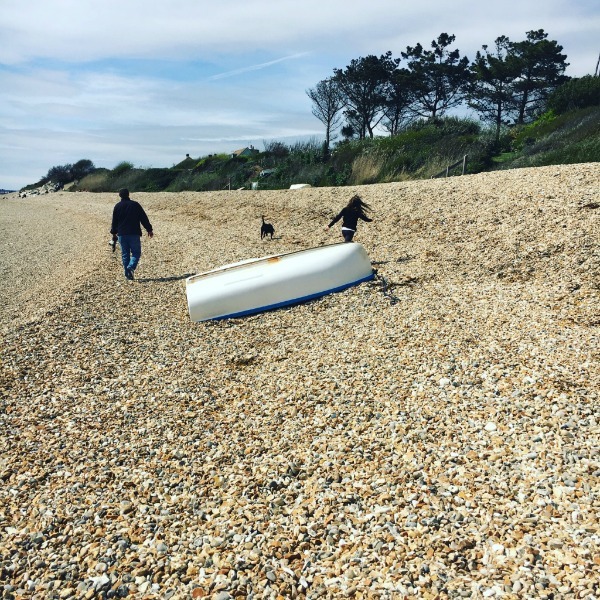 Another of our favourite Dorset beaches is Ringstead Bay, a beach we have only recently discovered on our adventures. It’s part of the National Trust, so parking is free to members in the car park at the top of the hill. Be warned it’s a steep walk down to the beach from this car park. Additional parking is available near the cafe which has easier access to the beach but the parking isn’t free. The beach welcomes dogs which is brilliant for us. It also joins the south-west coastal path so has been great for my Jurassic Coast Mighty Hike training, and also provides us with a great afternoon out with a stop at the pub for a drink before walking back to the car. We always access Mudeford beach by parking at Hengistbury Head and walking the mile or so through the paths towards the beach. 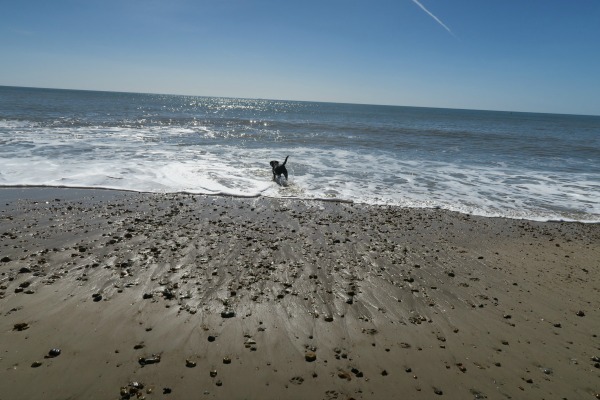 You can access the beach directly at Hengistbury Head and walk along it to Mudeford. The beach is dog friendly which means it can be a day out for us if we take Lola. It’s a quiet stretch of beach which is great. Parking is cheaper in the winter months than the Summer, however it’s still a really cheap day out if you take a picnic with you. We always find plenty of room on the beach to enjoy lots of space to ourselves. Southbourne is probably our first choice when it comes to a day or evening out at the beach without Lola. The parking is free if you park a few roads away and find a space. Following the zig zag path down to the beach you can usually find it’s quieter than Bournemouth beach. Thinking of staying nearby? Check out some pet friendly breaks by the beach in the South West. We have spent hours and hours at Southbourne beach over the years, it’s even the place where Abby fell off her body board last Summer (now that was funny)! We usually camp out close to the toilets and the ice cream kiosk meaning we’re set for the day. There is also a lovely pub at the top of the zig zag walk that we frequent on occasion, however it does get very busy in peak season. 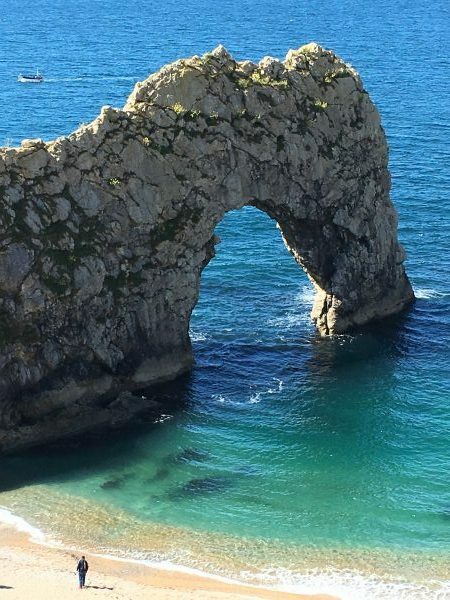 Durdle Door is one of the Jurassic Coast best beaches to visit. We’ve been visiting Durdle Door quite frequently since we discovered it a few years ago. It’s a photographer’s dream at Durdle Door with some stunning views. If you’re looking to take your dog away with you on holiday near a beach in the South West, I have collated these ideas. Parking is at the top of the hill at the campsite, and it’s a steep walk down to the beach, but so worth it. Dogs are welcome on the beaches at Durdle Door, and you will always find a nice spot to sit around the cove and enjoy a picnic or a walk. Check this post out if you’re thinking of fossil hunting on the beach. Wow…such a great list. Durdle Door looks so amazing. It is exploring the beauty of nature. Amazing! !